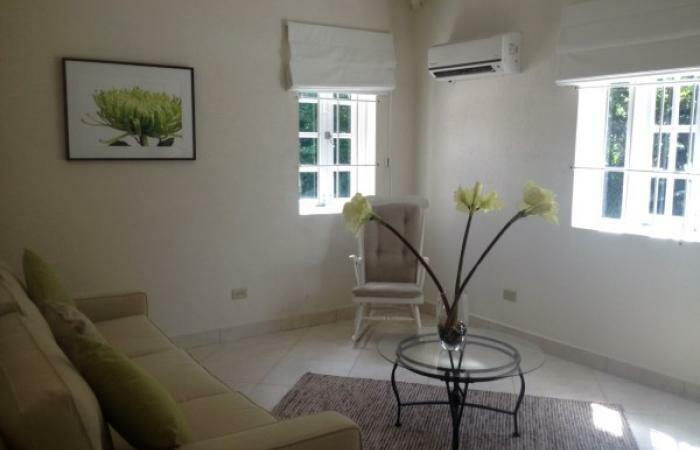 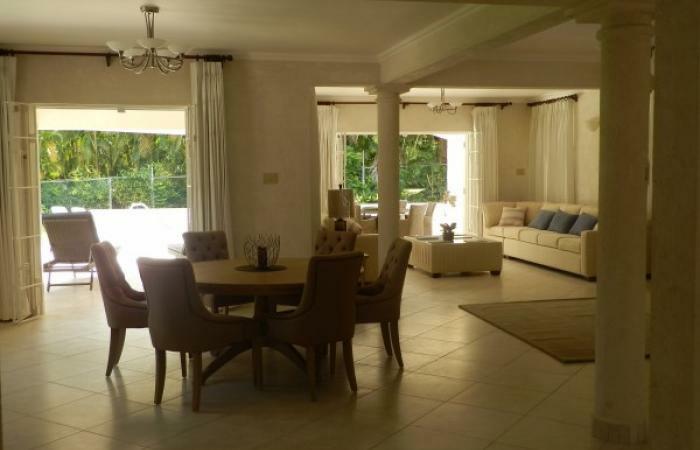 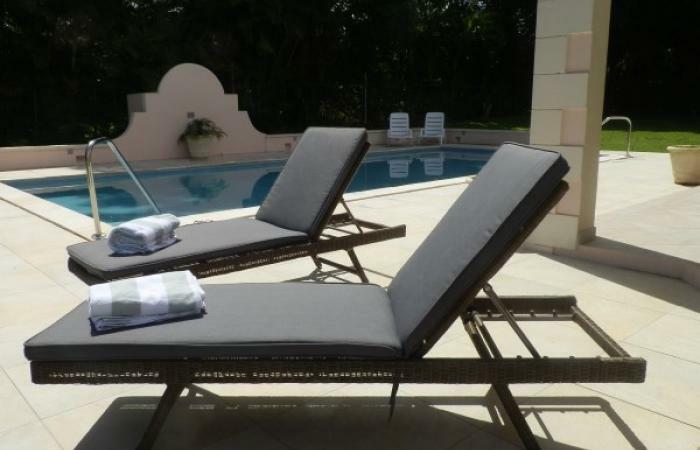 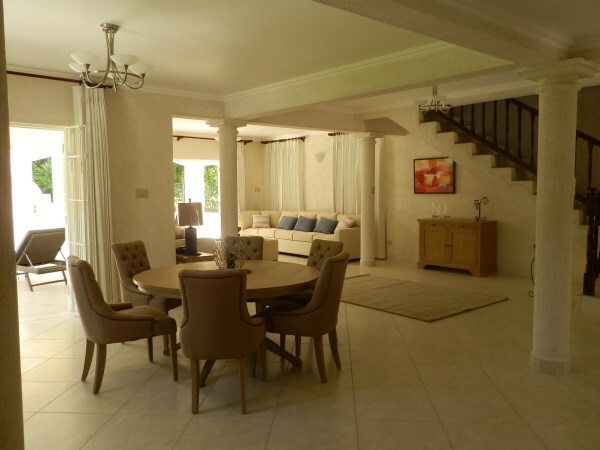 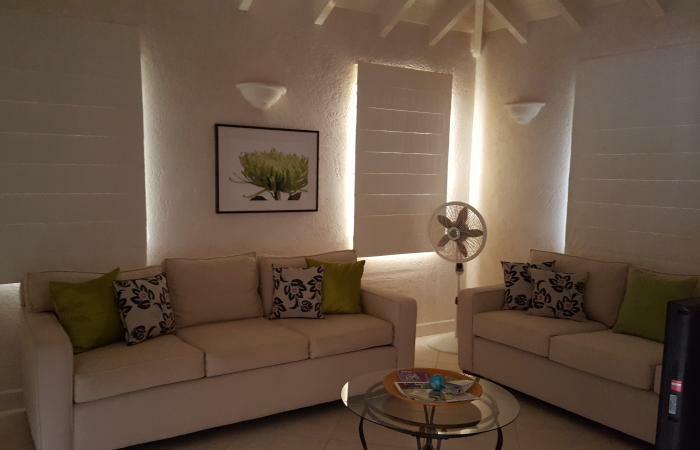 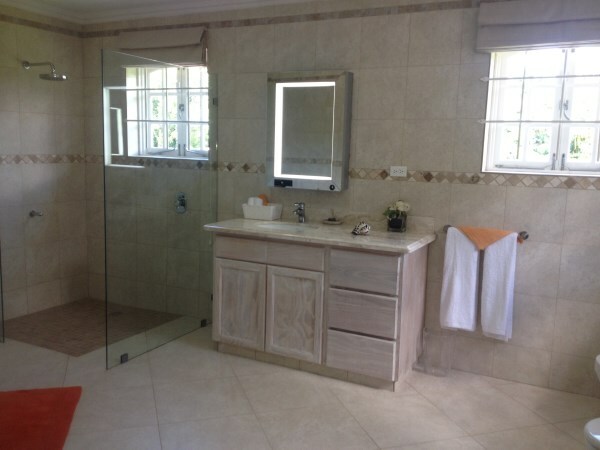 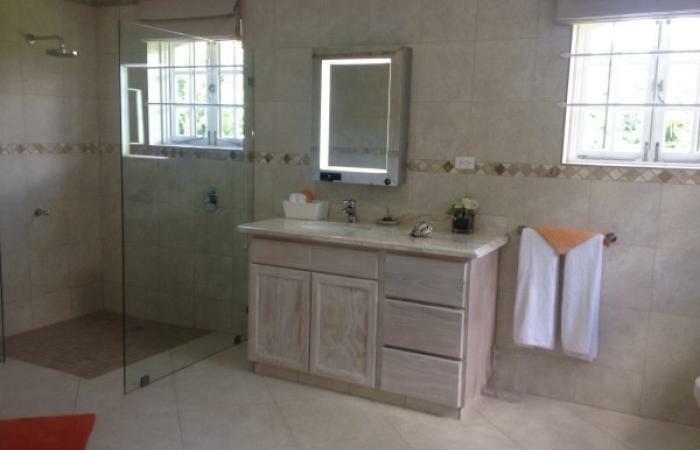 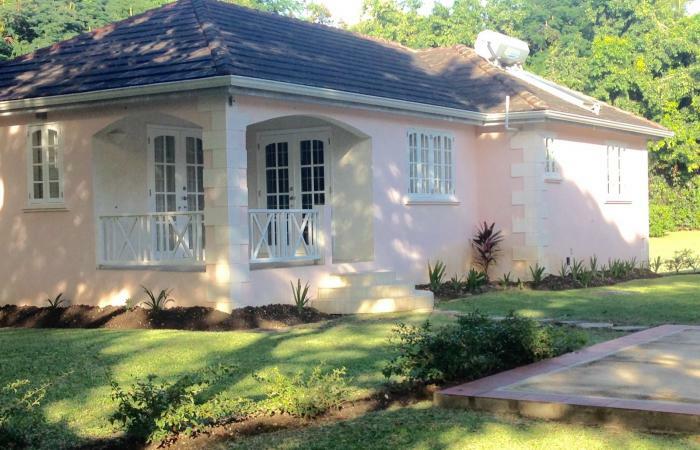 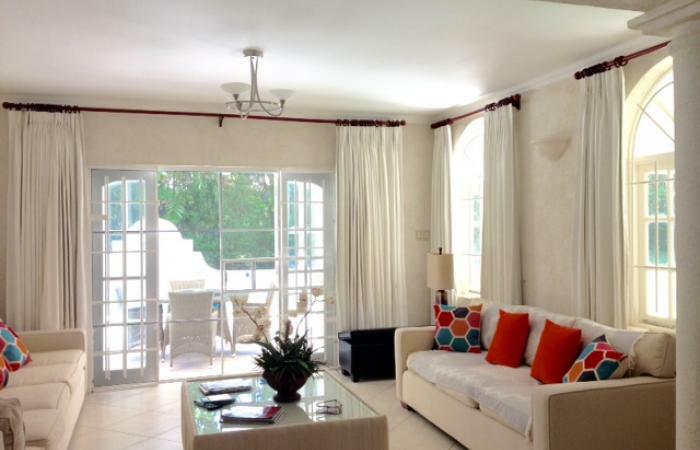 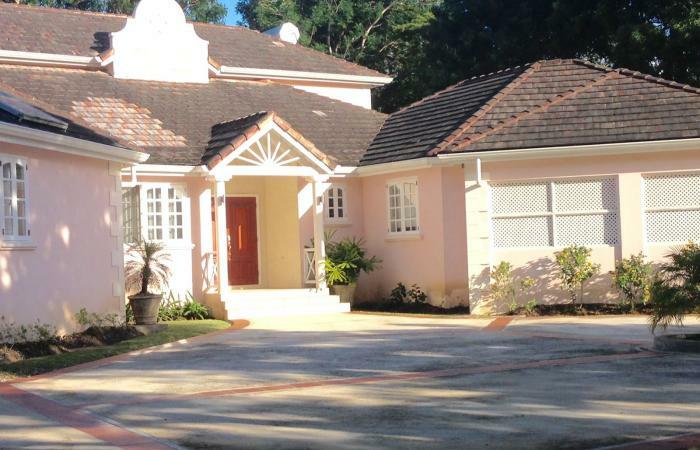 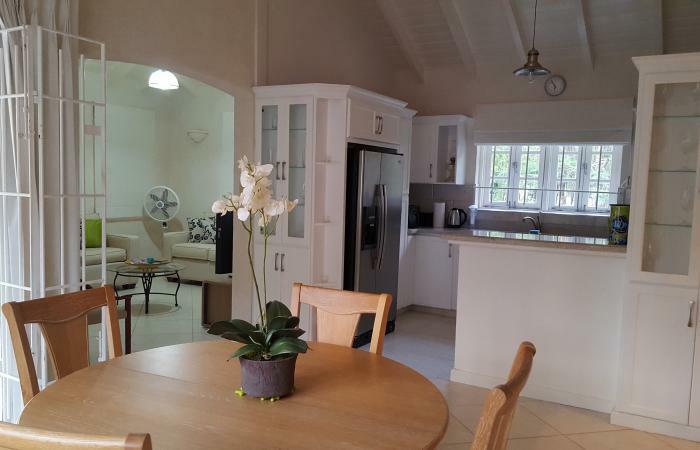 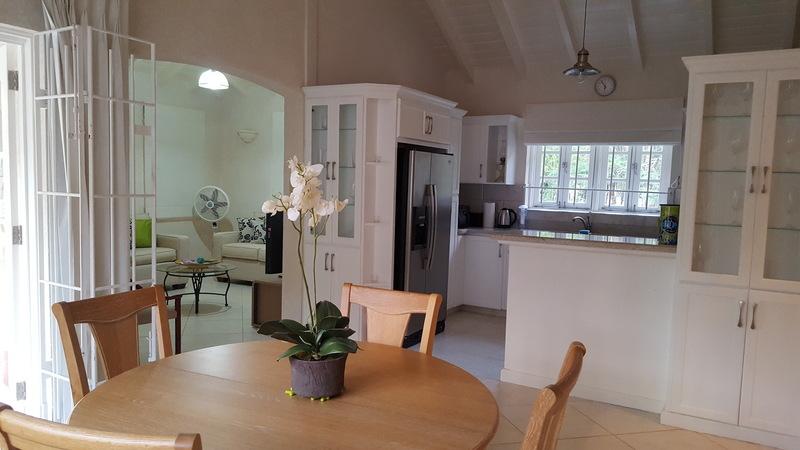 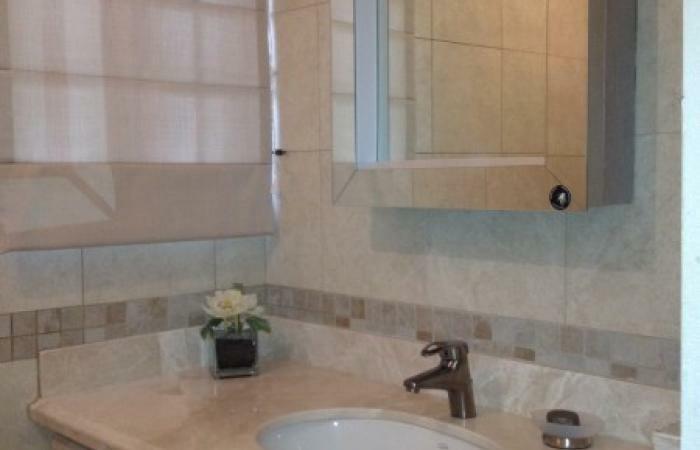 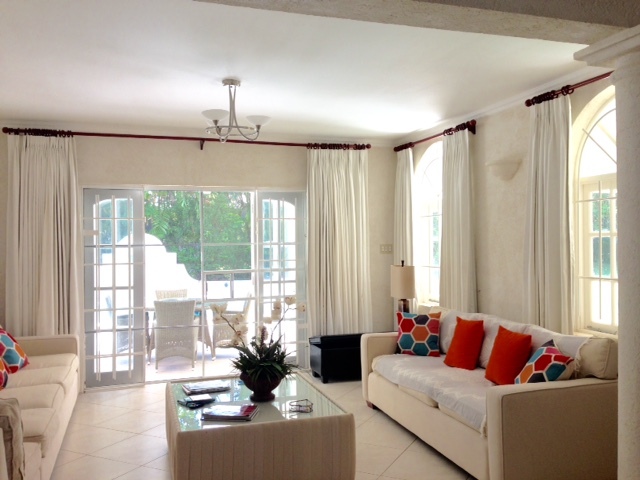 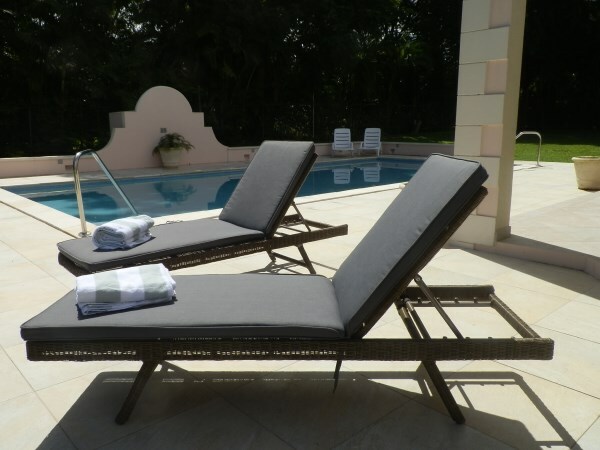 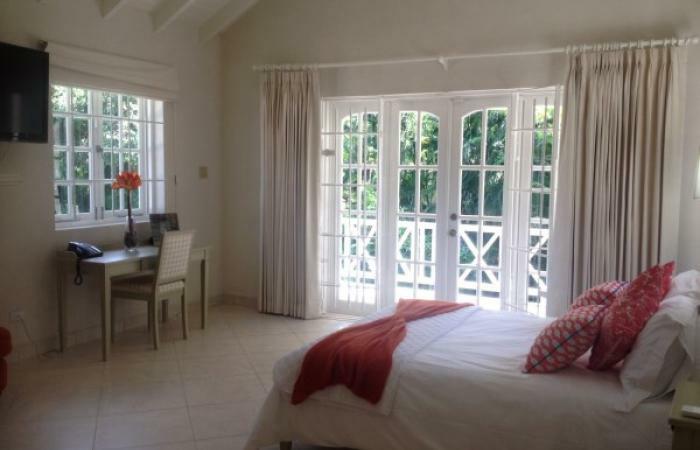 Mahogany Rise is a luxurious two-storey villa nicely situated amidst Mahogany trees on 1 acre of well manicured grounds in the Sandy Lane Estate. 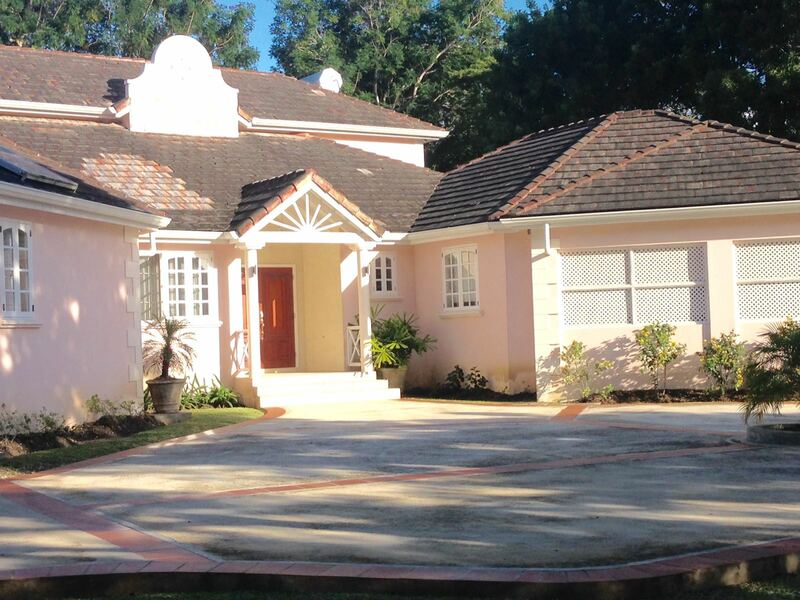 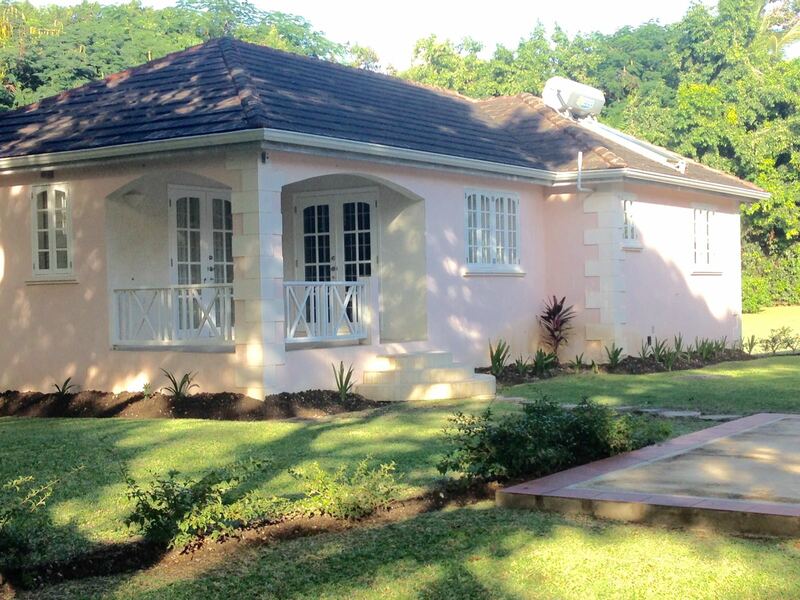 Mahogany Rise is a 4 bedroom 5 bathroom house with all bedrooms being en suite. 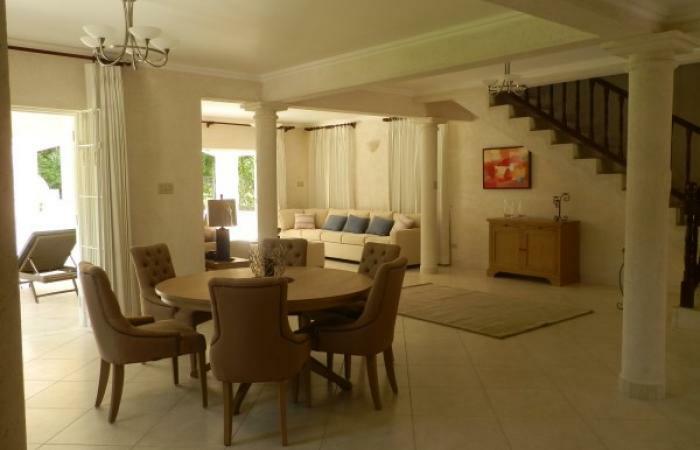 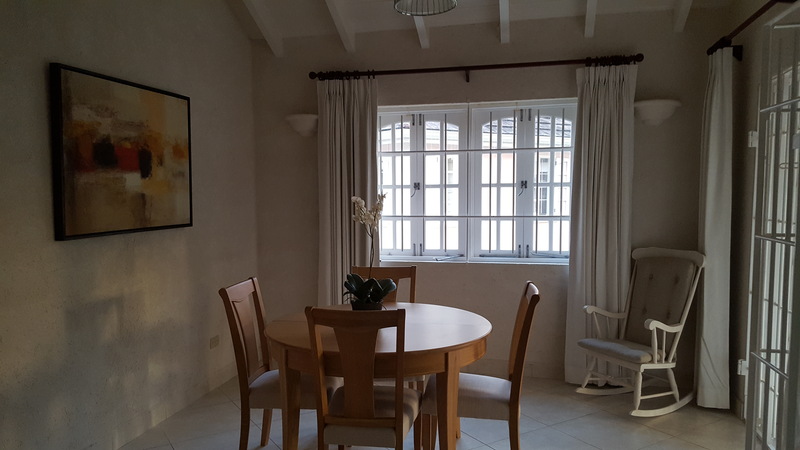 On entering the villa through the main entrance foyer, you walk into an open-plan living and dining room. 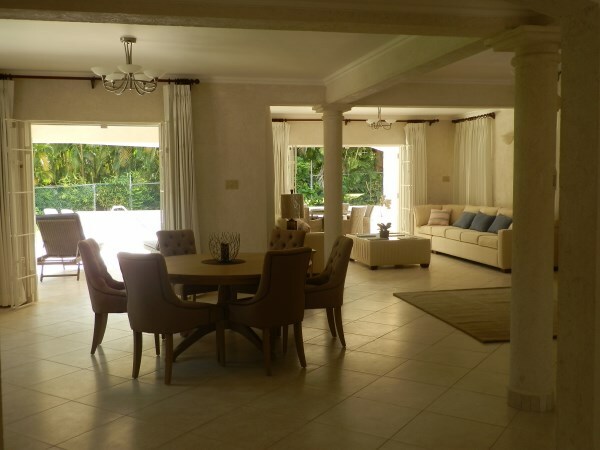 When the double French doors are open, it creates an expansive space for combined indoor/outdoor entertaining on the spacious covered patio and pool deck. 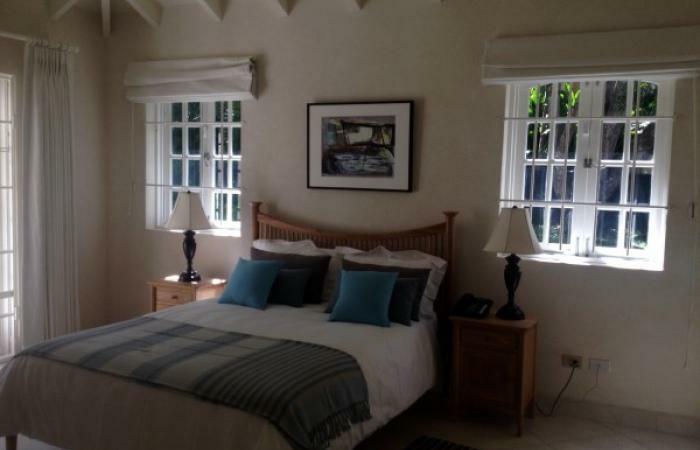 The lower level consists of 3 air conditioned bedrooms with queen bed, en suite bathrooms boasting marble finishes, vanities and rain showers. 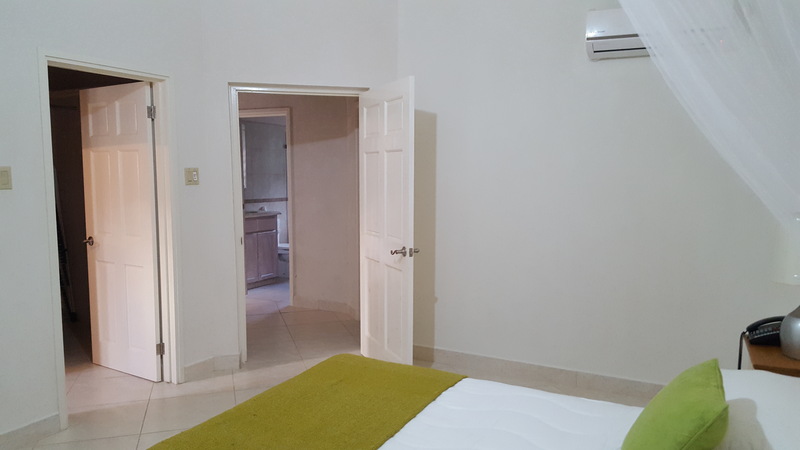 There is one bedroom with queen bed to the southern side as you enter from the garage, and two on the north western side with queen bed. 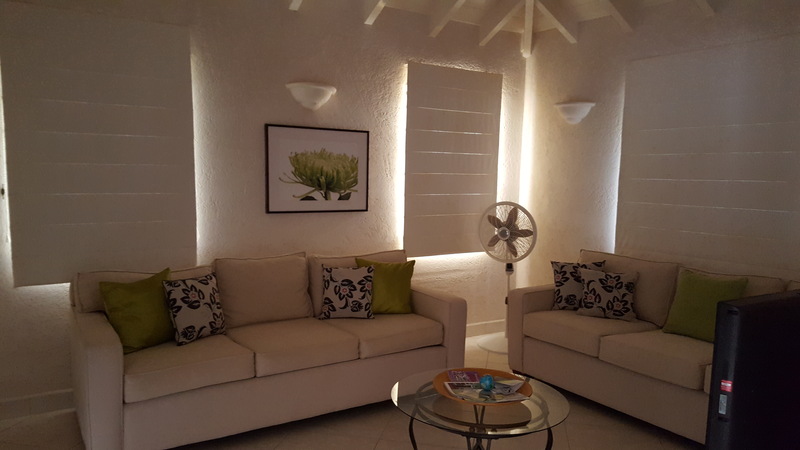 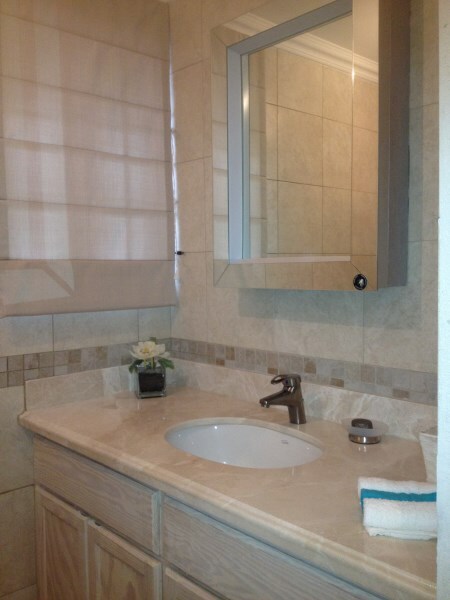 At the entrance is a powder room, and around the corner is the TV room with Satellite TV, DVD Player and a ceiling fan. 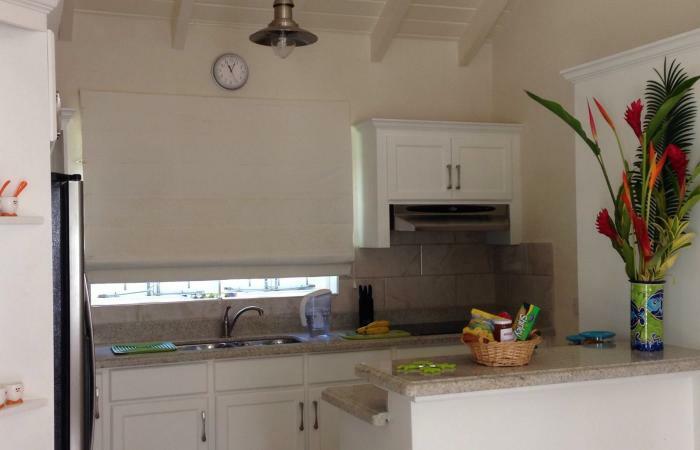 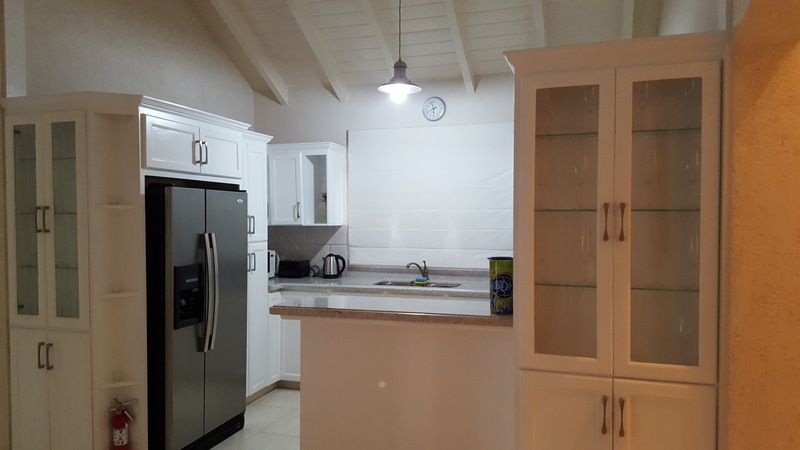 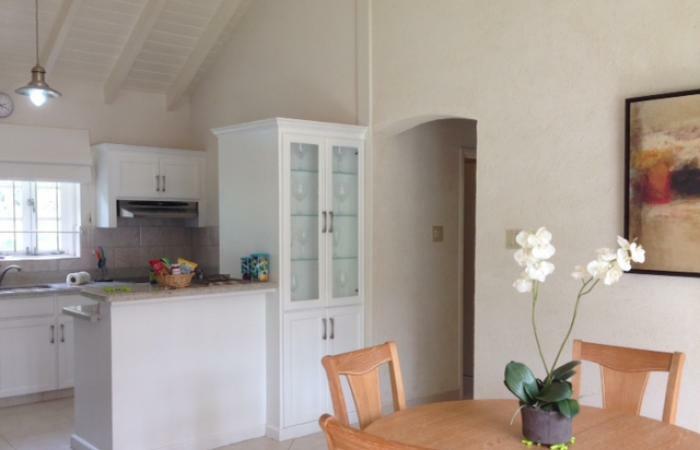 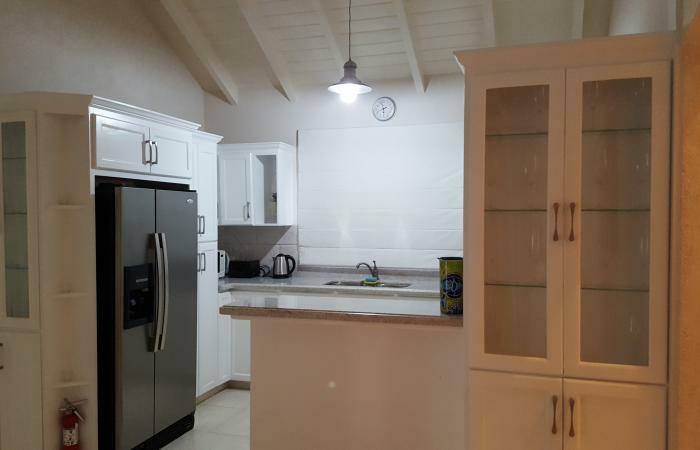 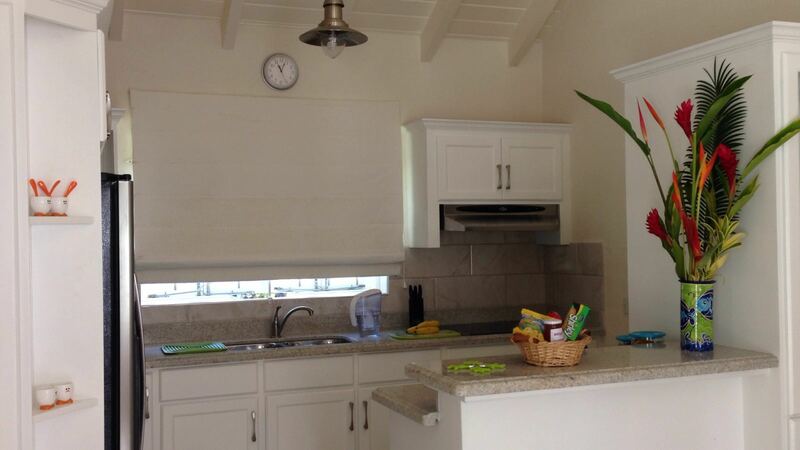 The Caribbean blue kitchen is fully equipped with ultra modern stainless steel appliances. 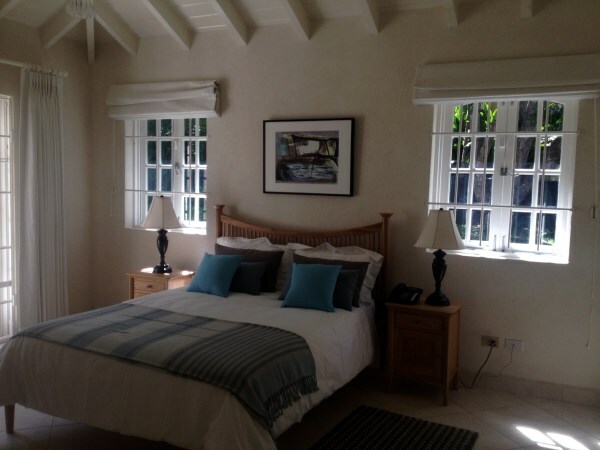 The upper level takes you to the stunning master suite with a queen bed and its private balcony overlooking the magnificent swimming pool. 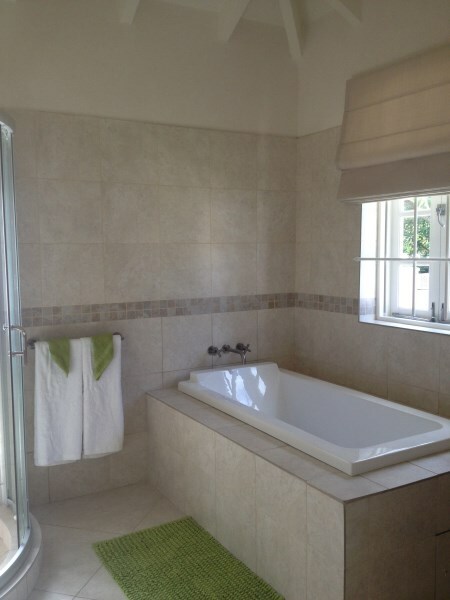 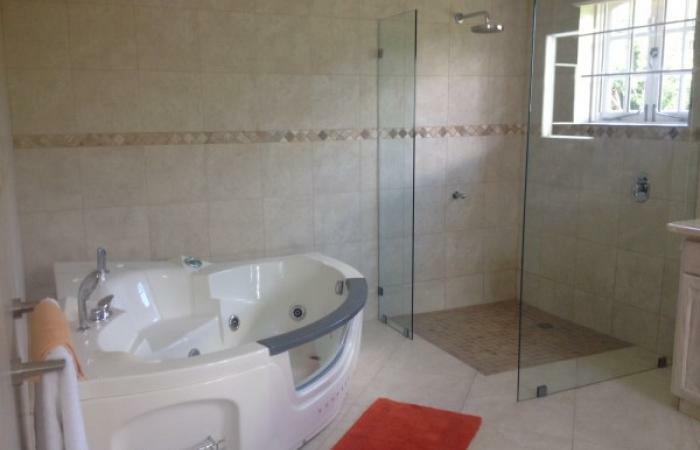 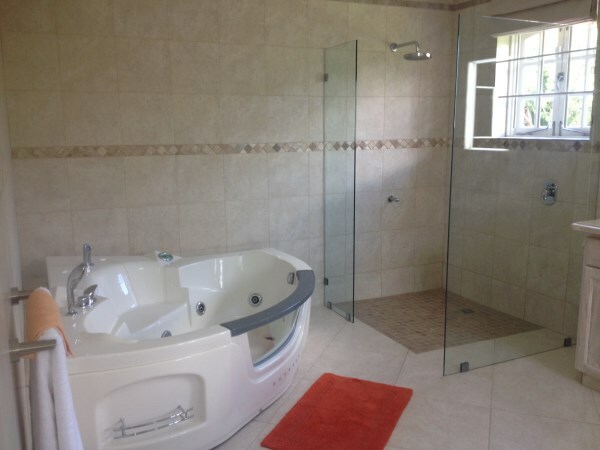 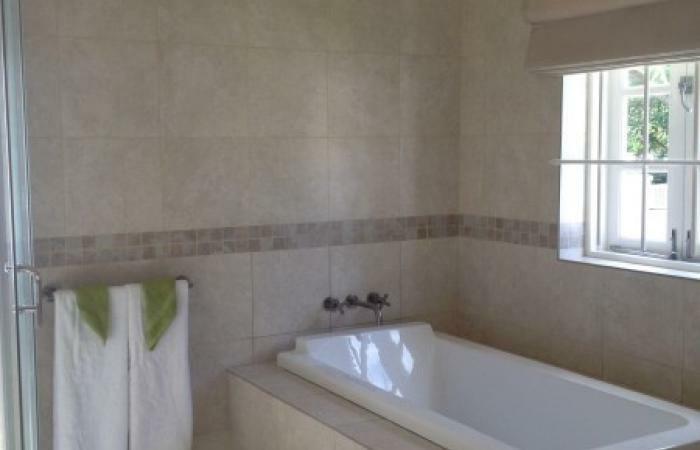 The en suite bathroom offers a Jacuzzi, and a rain shower. 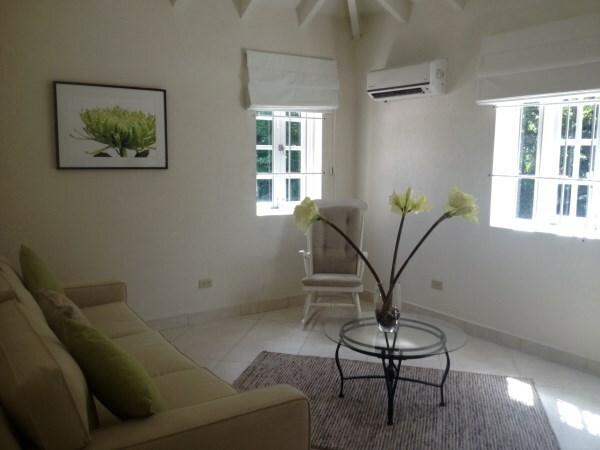 There is an air conditioned study/TV room on this same level. 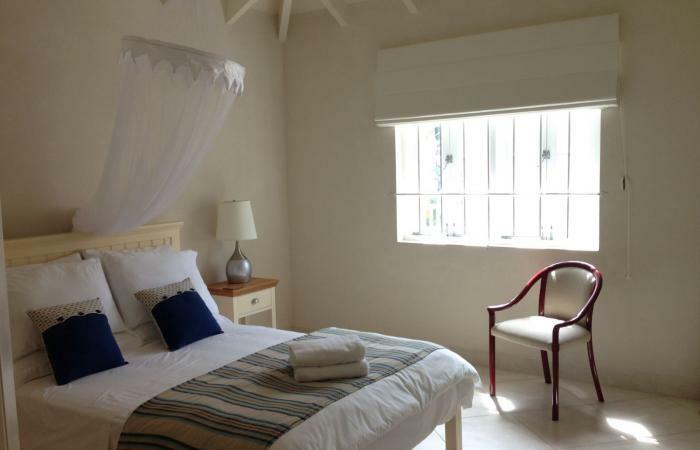 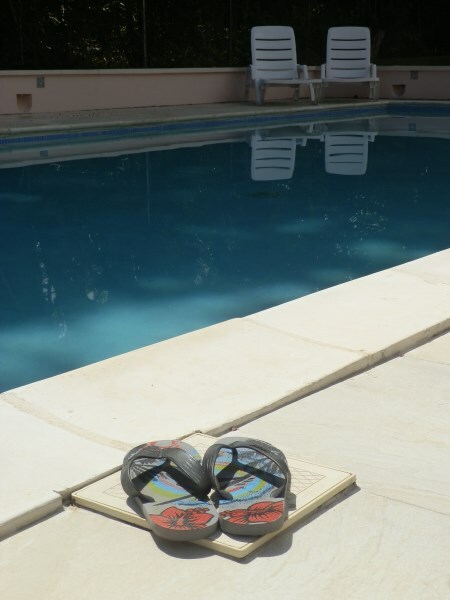 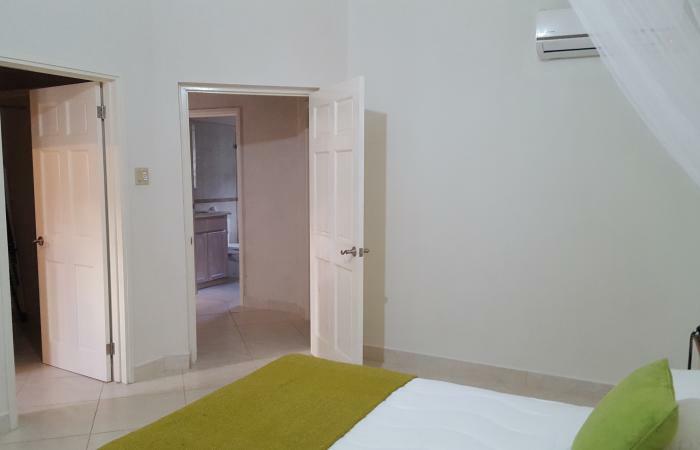 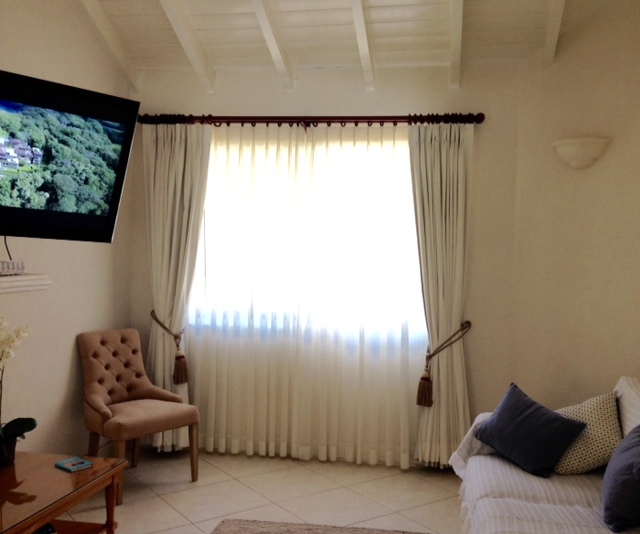 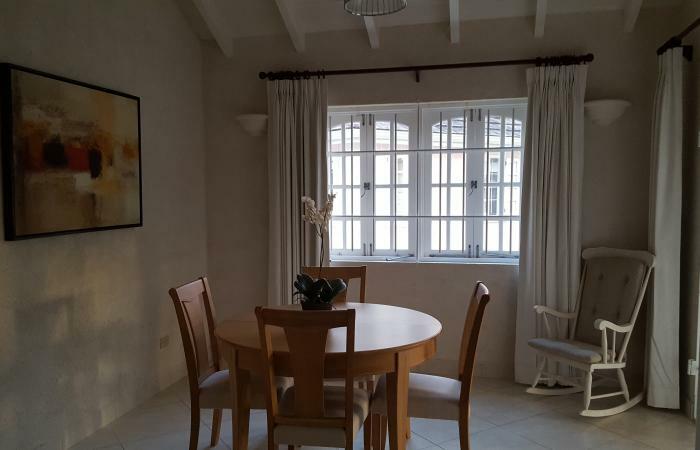 There is an air-conditioned two bedroom with two bathroom cottage, offering living & dining. 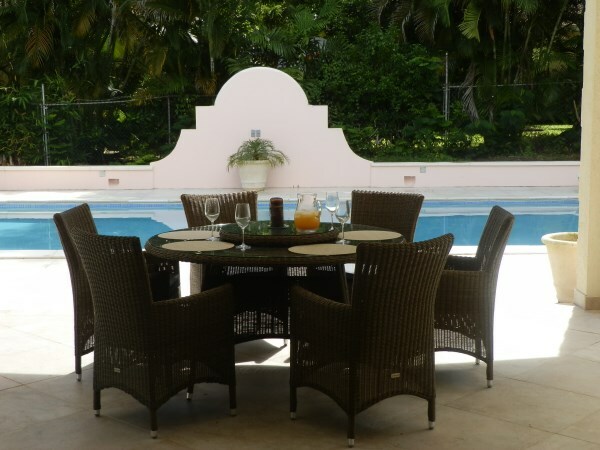 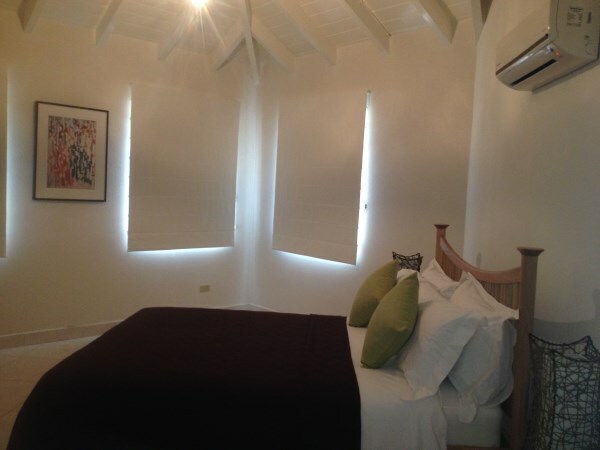 The villa is equipped with wireless internet throughout. 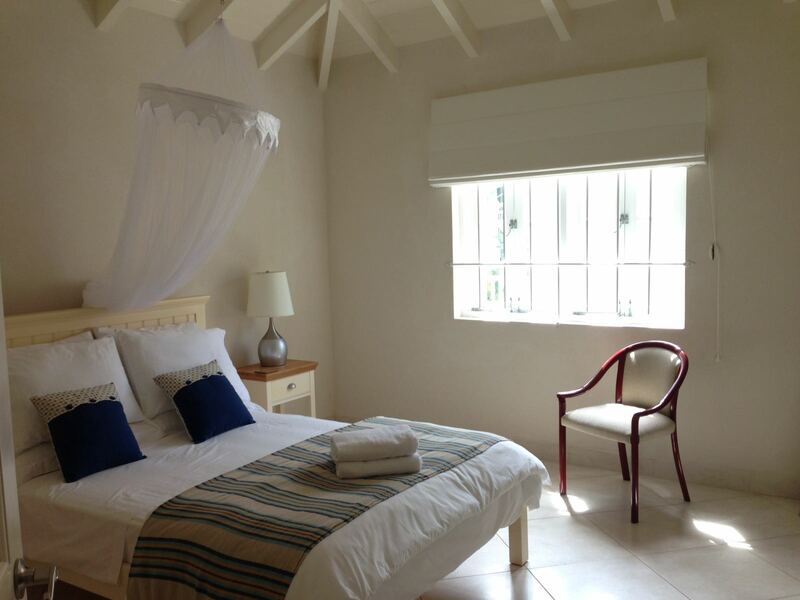 Please note that there will be a 2.5% per room per night levy on all rentals. 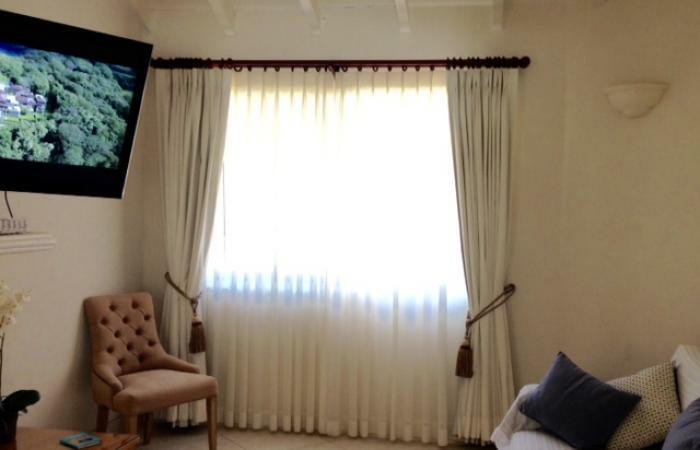 There will be a cap of US$1.175 service charge added to all bookings. 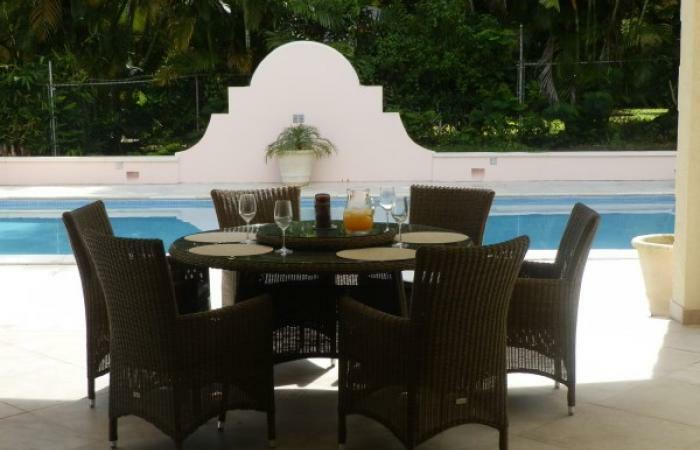 Please note: Tipping is not included in the service charge and is at your discretion. 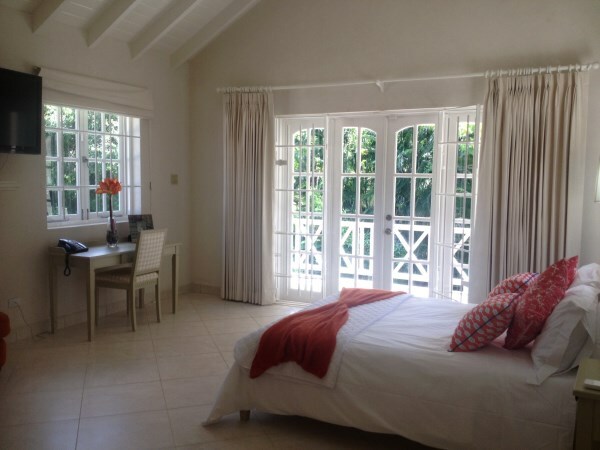 Winter Stay: Min stay 7 nights / Xmas season: Min stay 7 Nights.